"Twinkle, Twinkle, Shooting Star" cookies, Foodie Friday! Don't forget to check the side bar for all the giveaways going on right now! This is a recipe that my kids like to tall "Twinkle, Twinkle, Shooting Star Cookies"- yeah, it's quite a mouthful, but I think, if we could taste a star, this is how it would be! 1. Preheat oven to 355 degrees- if you need to, grease or line cookie sheets. 2. In a large bowl, cream together butter and sugars until fluffy, add molasses and vanilla extract. Add egg and mix until smooth. 3. Sift together flour, salt, and baking powder. Fold dry ingredients in and use electric mixer to blend until flour is incorporated. Divide the dough in half and flatten into disks- wrap in plastic wrap and refrigerate at leas an hour - or you can leave them in the fridge for up to 2 days, if you're planning ahead for something! 4. Unwrap and separate the candies into ziploc bags by color. Use a hammer to smash into bits- the smaller the bits, the better it works. I like to make mine powdery fine. 6. Use a small spoon to sprinkle the candy powder onto the cookies. You can mix and match colors and flavors- it's really fun! The more you put on, the more flavor there will be, but be careful not to spill too much on the pan. It makes the pan really sticky and gooey and that makes it hard to get the cookies off when you're done. 7. Bake at 355 degrees for about 6-7 minutes. They won't LOOK done, but they are, and if you leave them in much longer, it'll burn the hard candy, and then it's not very good. The flavor of these cookies is delicious and savory! You won't be disappointed! This Friday's Lazy Friday Flash Giveaway is gonna be HUGE! Get your clicker ready! Don't forget all these Prizes go to ONE winner! I am so excited to announce my next giveaway for the new children's book, Parrot Carrot!!! Jol and Kate Temple wrote this book for their little boy, Arlo, based on their attempts to get him to go to sleep. I was given this book to review and give away, and was so excited to share it with my kids. In all honesty, I was sure my younger 2 would love it, but I thought my almost 7 year old, Lilly, would turn up her little nose. This book is a collection of rhymes- but not JUST rhymes, they're rhymes that, once you turn the page, take on a hilarious new meaning! "Goose. Moose. 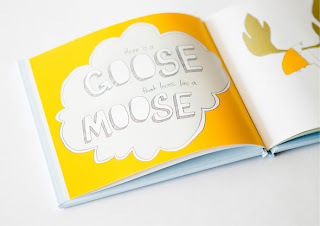 "- with darling pictures of a goose and a moose, illustrated by Jon Foye. Then you turn the page. "Here is a goose that looks like a moose!" To my surprise and delight, even my attitude-adjustment-required first grader cracked up with every clever rhyme and picture. Even my little baby (will be 1 next week) sat and giggled at the pages. I, myself, found this book something that needed to be added to our collection. I absolutely loved it. So, Parrot Carrot has the seal of approval from me, and my kids, ages 1, 4, 5, and nearly 7. You have two weeks to enter this adorable book with the easy rafflecopter form below. Good luck! Touchy Topic Tuesday- The Breastfeeding Bond. Now, breastfeeding may very well be THE touchiest of Touchy Topics. And believe me, I could go on ALL.DAY.LONG about my opinions on the subject. And they're very STRONG opinions. But there are so many PARTS to the breastfeeding controversy. So, in this discussion, I don't want to hear about how wonderful breastfeeding is (sure, okay), or how every woman can do it (not true), or how it's your right to do it in public (debatable), how it's best for baby (again, debatable), their poop smells better (in what world does poop smell better? ), prevents obesity (bull sh*t), makes you lose weight (actually, it made me fatter), and is natural (yeah, but...I won't go into it here. )- I don't want to debate ANY of those topics, so don't do it. Today, I want to talk about the "breastfeeding bond"
Go ahead. Google it. The breastfeeding "bond" is plastered all over everything- magazines, birth boards, parenting books, you know- everywhere. The idea is that mothers who breastfeed their babies build a strong bond that can't be broken. And I have to ask: As opposed to what? The bottle feeding mom who doesn't care about her baby? The bottle feeding mother, who, if Rumplestiltskin were still out collecting first born babies, would be more likely to hand the little tyke over? Considering the pressure put on women to breastfeed, and the insistence that if you can't do it (yeah. Some people can't.) or, heaven forbid, you CHOOSE not to breastfeed, I really only see this as a guilt trip into doing it. And a terrible, insulting one at that. Now, before anyone judges this book by it's cover and decides that I'm one of "those" women, I want to make it clear that I am NOT anti-breastfeeding at all. I breastfed 3 of my 4 babies for 4-5 months each- no, it's not 2 years, so, inevitably my kids will probably be sick constantly, obese, and stupid compared to their breastfed-til-kindergarten counterparts, but hey, it's a decent start. See, maybe it's just that I didn't breastfeed LONG enough...you know, like maybe that (almost creepy the way some women talk about it) unmatched bond kicks in at 6 months, or 9 months or so...or maybe it's just me, because when my milk dried up spontaneously (more on that another Tuesday) around 4 months postpartum, every single time, and I began giving my babies bottles and formula, I didn't notice a change in my "bond" with them. I didn't suddenly love them less because I couldn't breastfeed. I didn't suddenly favor a child who may have been breastfed longer. And when I suffered from a terrible infection after the birth of my 4th child, and wasn't able to breastfeed him beyond 2 weeks due to medication that not only got rid of my infection, but was also toxic to my baby (no breastfeeding) and it dried me up nearly over night, (Within 48 hours, I couldn't even pump a half ounce.) I didn't look at him and think "huh...I don't care about him nearly as much as I do my other babies....I just don't have the bond with him that I do the others..." As a matter of fact, I very devotedly held my sweet, fat baby in my arms, kissed his fluffy cheeks, and gazed into his big blue eyes. Every 3 hours. Every day. Every night. You see, my baby, though he wasn't sucking on one of my body parts, was still getting the same skin on skin contact (kisses, stroking his little cheeks with my fingertips, rubbing noses, and so on), the same quiet time snuggled with mommy. We cuddled and cooed and kissed and got all drooly just as much with our bottle time as my previous children did with my breastfeeding time. On top of all of that, what, exactly are people saying about women who adopt their children and cannot breastfeed them? That, since they don't do that, they will never be able to achieve the max level of parenthood? The ultimate level of love for their child? How absolutely horrible an accusation! And to be honest, I find it a perfect personal insult from anyone at all who might insinuate that their bond with their child is better (you know, thus insinuating that they are a better, more loving, closer parent than I am) than mine is because they breastfed. It becomes very mommier-than-thou, and I think it's time someone called BS on it. Tell me how you feel about this whole thing. What "bond" have you experienced? Remember, this isn't about being for or against breastfeeding. I assume we're just all "pro feeding"- it's about this claimed "bond" that breastfeeding mothers have that bottlefeeding mothers apparently don't. Please, chime in! Hey friends!!! A good friend of mine had something bad happen to her Facebook fanpage, and, in short, she lost ALL her fans!!! 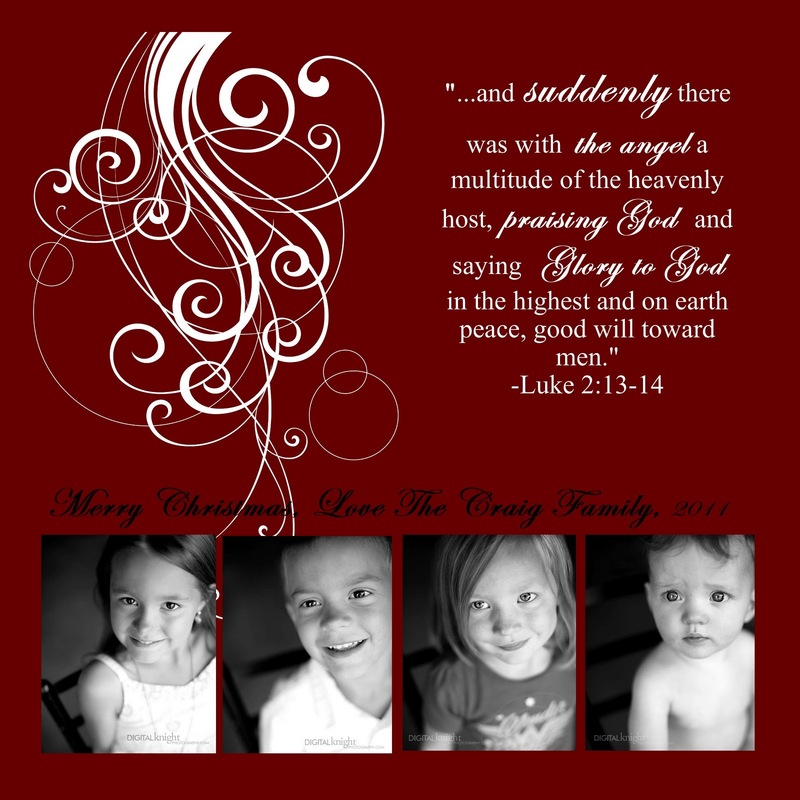 Welcome to our Christmas Lazy Friday Flash Giveaway! Yet again we have some awesome prizes for you this week! Remember all these prizes go to ONE(1) winner! This week you will be following us by Google+. 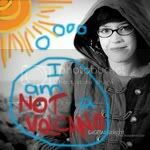 I spent a good several years in denial of my mommyhood. I mean, I had a baby or two permanently attached to my hip, and a diaper bag replaced my chic purses and bags...but I was young (I became a mother at 22 years old) and hot and REFUSED to fall prey to such horrifying things as "mom jeans". It worked...for awhile. My babies wore adorable clothes, their noses were always devoid of anything wet or slippery, their hair was always done - faux hawks for the boys, tiny pig tails for the girls with ribbons or barrettes. They always wore socks AND shoes. And that diaper bag? Plastic encased red silk with colorful butterflies all across it. Heck, even the bottles I used were cute and top-of-the-line. As often as not, I was mistaken for the cute young nanny of the two darling children I towed everywhere, to which, I laughed delightedly, and relished in the not-momishness of myself. Now a days, though, (I'm now nearly 30) there's hardly a glimpse of that girl. Teague NEVER wears anything on his feet. I mean, I DO put the shoes and socks on, but I don't waste time putting them back on 30 times a day, when he constantly pulls them off. And occasionally, my younger two will have sliminess beneath their sweet pointed little noses....and that usually ends up on my shoulder, or at about knee level, where Teague pulls up to standing, and then rubs his face against my mom jeans. I know I'm a mother because, while I can't say I don't care- in fact, I care very much and try very hard to keep myself and my kids looking presentable, to keep us all clean and tidy- I just realize that it HAPPENS. I'm a mom of four. My time is split in several directions. And I love them too much to worry about the trivial things. A little snot never hurt anyone, and when it gets on my shoulder because my sweet baby is giving me a tight hug when he wakes up from his nap, or slobbers all over my cheek in a giant kiss, well, that is worth ALL the chic diaper bags in the world! 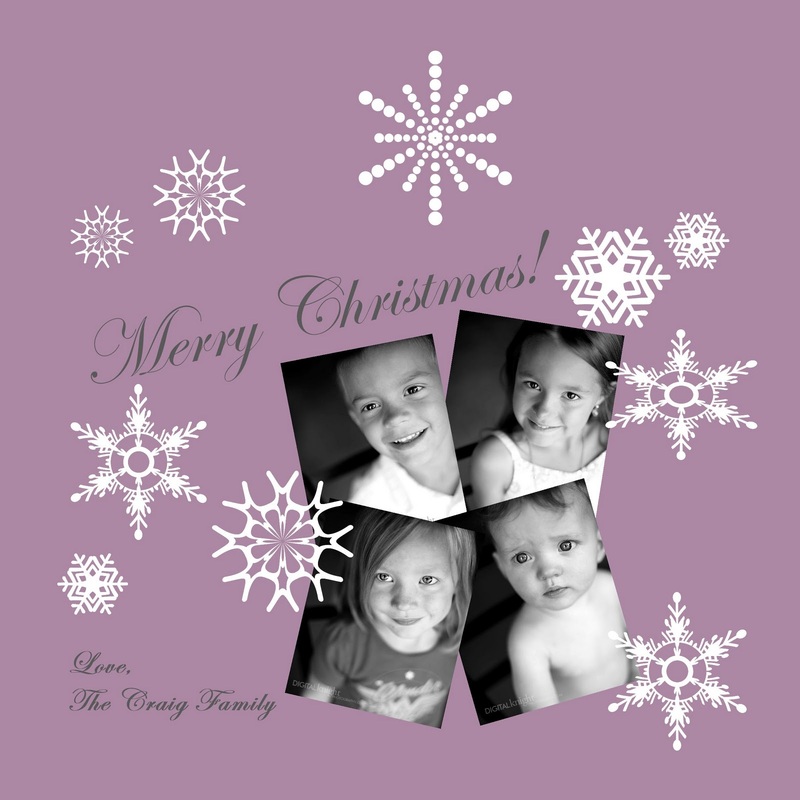 Click on the link to enter by rafflecopter to win a copy of My Memories digital Scrapbooking Suite - the software I used to create this AWESOME Christmas card!!!! In November, many will remember that the Duggar Family announced their 20th pregnancy. The Duggars, in and of themselves, are controversy enough, but more controversy surrounded the pregnancy due to the size of their family, the complications present in her 19th pregnancy, and Michelle's age- she's 45. Still more controversy followed when, at 19 weeks along, Michelle went to a doctors appointment, and realized that there was no heartbeat. A sad, yet common occurrence for many women. One photo showed Michelle holding Jubilee's tiny hand on the tip of her finger, and one photo where Michelle is holding her baby's two tiny feet between two fingers- with a caption that reads: "There is no foot too small that it cannot leave an imprint on this world." It seems that many people feel that the memorial service and the photos are a cry for attention. A big old "look at me, look at me", if you will. 1. Who the heck cares if they have a whole bunch of kids? It's no one's business. They are a debt free family, their kids are well fed, well cared for, and have the love, shelter, and things they need. So what do you care if they have a lot? None of it rests on your shoulders. On top of that, it isn't JUST a personal decision they had made to have a bunch of kids. I'm sure a big part of it IS a personal decision, but it is also a religious decision- and unlike most of America, the Duggars are not a family that dabbles their fingers in religion on Sunday, and forget it the rest of the week. They live their religion on a daily basis. Not many people understand this conviction, and most people fear what they don't understand. 2. A lot of women have complications in pregnancy. Probably more women than half. It isn't okay to tell a mother of one that since she has had complications with her pregnancy in the past that she should not have another child. It's cruel, tactless, and incredibly unethical. It is no less cruel, tactless, or unethical to tell a woman who has 19 children that she shouldn't have another child because of past complications. 3. Michelle Duggar is 45. Why is this controversial? I just don't get it. In Hollywood, actress by the score have baby after baby via invitro fertilization, some of them much older than 45, and that's okay? No one finds THAT controversial? If the problem, again, is because she has so many children already, people need to rub their nose in their OWN crap, not hers. Because it's none of their business. 4. I do not see why it is such a bad thing for the Duggars to mourn their baby. Having many children does not make it easier for a parent to lose one. Believe it or not, it's not like a gumball machine- you put your quarters in, and get a handful, but one falls on the ground, and you can't eat it. Oops. Bummer. Moving on. SOME of us find life, no matter how many lives there already are, very VERY sacred. Including this sweet baby who only graced the world for 19 weeks. For that 19 weeks, she made, at the very least, 21 people very happy. THAT says something big. It is not unlike those who told me to just be happy with the three I have after long months and a chemical pregnancy when trying to have my 4th child. 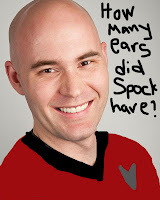 I took it as a personal insult. And, I still feel, rightly so. 5. As far as the pictures go, if people are heartbroken by them, then they have eyelids. They can close their eyes or turn their heads, or find a different website to read. Jubilee's family, though, may be very comforted by them- it might solidify her realness. It might bring closure to their hearts. Once, on my birth board with Teague (of COURSE it was a birth board!!!) a woman who had suffered through morning sickness with us, celebrated the discovery of her baby being a girl, and then, when she needed us most at 26 weeks when she suffered a late miscarriage, many turned against her and behaved very cruelly when she posted a newspaper article about her baby's funeral service. Many women there said it was "a waste of money" for a funeral for a baby that never lived, and some even refused to call her daughter a baby, but instead referred to her as simply "the fetus". One woman said, and I quote- "It's sad, but it happens. 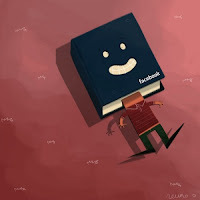 You have to get over it, and stop wallowing." I was horrified and heartbroken for this mourning mother. She was reaching out for support and hope and comfort, and women who should have been there for her, who still held their babies safe within their bellies, told her things that they would have been sick to hear about their own child. Of course, I was happy to see that more people DID offer her the support she needed, but the idea that the baby wasn't worth the time and effort of a funeral, a memorial, or pictures because a deceased child is "creepy", is what I imagine to be one of the most WICKED misconceptions that a human can invent. Any baby is WORTH much more than that. A baby who has lost the battle for life is STILL the sweet, very loved baby it was in life to a mother who has lost it. So, how do YOU guys feel about this situation? Is it creepy? Is it attention seeking? Or do people need to chill out and let the Duggars mourn in a way that they feel will let them heal? Do they have any less right to sadness because they have a lot of children? Do you CARE that they have so many? And why? You 're going to want a cheese grater that you don't mind being ruined. Personally, I have one I just use specifically for shredding up crayons, and don't use for food. I prefer small grates, rather than large ones. It just works better. A little goes a long way! I grate the crayons onto a plate, but then, to keep the colors separate, I like to put them into an egg carton- and the kids have an easy time using little spoons to put the colors on their wax paper. Use a piece of wax paper DOUBLE THE SIZE you want your whole artwork to be- then fold it in half. ONLY put crayon shavings on one side of the paper. Before I iron it, I like to use GLITTER!!!! And so do the kids. I mean, really, who doesn't love glitter?! Scarlet and Mahone with their already ironed papers. Lilly, cutting out her stars. When you have spread all the lovely colors across your one side of the wax paper, and you are ready to iron, carefully fold the other half of the wax paper over onto the top of the crayon-strewn surface (you should now have crayon shavings BETWEEN TWO PIECES OF WAX PAPER- this is important, or you'll destroy your iron.) Place the old dish towel on top of your ironing board, and the iron-ready wax paper on top of the old towel. Pretty cool, huh? Neat patterns it makes. This time, we made stars to go on our Christmas tree. But, obviously, you can cut out whatever shapes you want! These are the papers held up to the light. AWESOME! Try it! You'll have a blast! Welcome to the 5th Lazy Friday Flash Giveaway! This week we have some AWESOME prizes, yet again! Make sure you have twitter, because that is what this week is all about, twitter follows! Our sponsors/hosts this week is as follows, you should really check them all out, really! How awesome do those prizes look? Stories from my college days. Linking up with Mama Kat's Losin' It for Thursday's Writer's Prompt. Now, usually, as soon as I read the prompts, I know exactly what I want to write about. But this time, it was hard....er....I thought about writing about our Christmas Nativity, because I think it's kind of cool...but then that seemed flat. And then I wanted to write about what I wanted but didn't get for Christmas, if only because, for just about everything I didn't get, my dad (ahem: Santa) left notes with really creative and quite reasonable reasons that Santa would never be able to bring such a thing to me. And then I saw the one about stories from collegehood. And I just couldn't resist. I think, personally, it's better idea for me to simply summarize several of my experiences in list fashion. You'll get a better, rounder view of my life as a co-ed, and I get the satisfaction of bragging about how awesome my wild days were. 1. I won a game of Twister that involved painted grass and over 200 people at starting. 2. I am a "true wildcat" - which means I got kissed on Homecoming night at the bell tower. 3. Once, it snowed 4 and half feet in one day, and when the plows were done shoving it off the Union Building driveway, there was a mountain of it 8 feet tall. Of course, my friends Jon, Ray and I climbed into Jon's truck, and drove over it. Despite the seatbelt I DID buckle, my head still hit the ceiling on the way down the other side. 4. Several of my friends were night managers over the Union Building. They found out that there were under ground tunnels that went all over campus. Through some study, they found out where the cadaver lab was, and we all went exploring late one night. When we got there, one of the boys whispered my name in my ear, it freaked me out and I took off running the other way. We ended up lost in the tunnels for another hour before we found our way back. 5. I got attacked by an owl while walking on the sidewalk on my way home from a night class. Luckily she only dived at me once, and only smacked me with her wings. 6. My boyfriend's cousin came to visit once, and stayed at the dorms. While my boyfriend was at work (at the Union Building) the cousin and I went to test drive a Volvo...because on tv, they advertised that every test drive would earn a free Shrek video. We got the video...and didn't buy the car. 8. My second year, two of my best friends spent the weekend with me in my dorm. One of them had dark brown hair, the other (my sister in law now) had almost white hair. We bought a jar of fuschia pink hair dye from Hot Topic. I dyed both their hair with it. Nyssa (dark hair) came out with deep purple, and Stephanie (my sis-in-law) was, of course, FLORESCENT pink. It was awesome. My hands, though, turned pink too, because we couldn't find gloves. So I just didn't use any. They were stained for 6 weeks. 9. I went to a Student Housing Convention in Colorado called IACRH (Eye-a-curr) - it was pretty fun, but kind of embarrassing, because while other school's representatives shouted all kinds of cool cheers, the only thing my group knew was "Weber, Weber STATE! Weber, Weber STATE!!!" -well, we KNEW more cheers, but the group had issues with communication and team work. So instead of discussing, they just automatically shouted. A boy there from Arizona State gave me his sombrero. I'm sure there are more- but college was full of moments as much as it was full of actual events. So there's a little peek into me a decade ago. Wordy Wednesday! 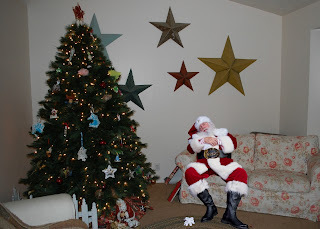 FIVE I Caught Santa Photo Giveaways!!!! I have in my possession, FIVE codes for a FREE custom photo of Santa in YOUR living room!!!!! This is the most adorable thing ever! It's easy, it's fun, and it's super cute! I'm a careful mommy when it comes to Santa. In our house, Santa is a MUST! We love him, and we love his portion of the spirit of Christmas!!!! I recently read the blog post of a fellow mom blogger, and I had to crack up because her 7 year old asked if Santa is real. Her reply was: "How about I tell you where babies come from?" HILARIOUS!!!! Now, I have a 6 year old of my OWN who is more observant than is good for her. And I don't believe I have many years of this magical game left in her. When presented with this giveaway opportunity, I jumped at the chance to trick my kids into a couple more years of belief! And it was worth it- look at this DARLING picture I made by uploading a holiday photo of MY LIVING ROOM, and adding one of 20 different Santa poses! I really loved this Santa- even though there are many other cute ones, because I loved the idea of leaving it with a note for my kids that he was so tired, he just HAD to take a snooze before leaving presents beneath our tree- and what'd you know?! One of his elves snapped a quick picture! Also on www.icaughtsanta.com, you can order YOUR photo to pick up or mail to you from your favorite developing company- including Snapfish, Walgreens, and many others, for a VERY small price! OR, you can print your own picture. After that, watch a video of Santa Claus dancing around YOUR LIVING ROOM! This is such a darling gift, and is the CUTEST thing to give a child that might be questioning the truth of the Guy in Red this year!!!! Please enter via the rafflecopter below- and HURRY, because this giveaway ends Friday so that you have time to order and receive your photo by Christmas!!!! Touchy Topic Tuesday- Skeleton Santa Nailed to Cross: Freedom of Speech? 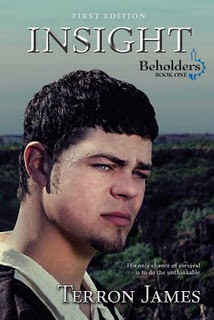 Beholders: Insight GIVEAWAY ENDS TONIGHT AT MIDNIGHT! LAST CHANCE TO ENTER! Do NOT miss this opportunity! It will make an EXCELLENT Christmas gift! 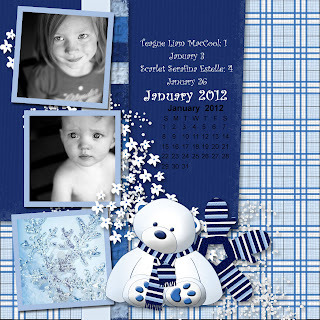 My Memories Digital Scrapbooking Suite This is my newest giveaway, and it's such a great product. SO fun to use and so easy too! 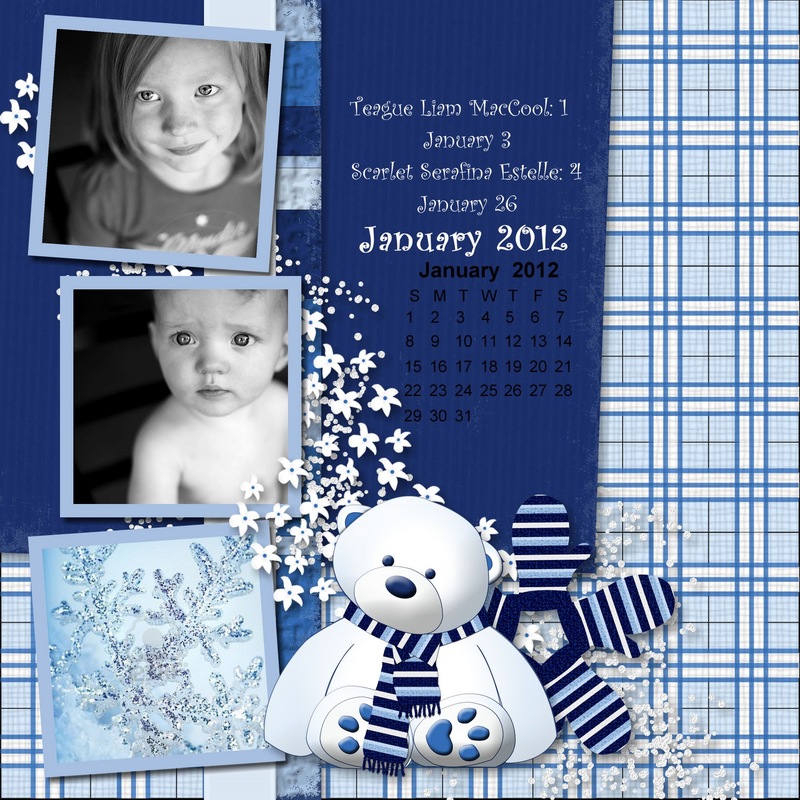 Make all YOUR holiday memories last forever with this wonderful software!!! More giveaways coming soon! Check back with me on Friday for Friday's Flash Giveaway, and a SUPER darling "I caught Santa" giveaway, as well as a new children's book review and giveaway! Lots coming up! You're going to love it!!! Touchy Topic Tuesday: Skeleton Santa Nailed to Cross: Freedom of Speech? Last week, I read this article Atheists Display Skeleton Santa Nailed to a Cross on MSN. In short, the article is talking about how an Atheist mother and her son put a Halloween skeleton dressed in a Santa Suit up on a Courthouse lawn- the catch? He's nailed to a cross. Of course, it's appearance immediately stirred discussion about Freedom of Speech. Some say it's a work of art, representing the turn of Christmas from love and family and Faith to commercialism and greed. Others see it as a personal offense on Christians themselves. In fact, quickly after the skeleton was displayed, one woman dismantled it because she thought it was offensive and crass. Me? I agree- offensive and crass, for sure- and, I also believe it was INTENDED to be offensive and crass, rather than a social commentary made by someone who was deeply hurt by the over abundance of commercialism amid a holiday meant to be religiously based. You see, the people who put it up were Atheists. This matters, incredibly, because the very definition of Atheist is a person who does not believe in a God or a religion to any degree. Atheists, IF they celebrate Christmas (and I imagine that most of them do, since it's just such a prominent holiday throughout the world and celebrated my many, MANY religions, including many of them that aren't even Christian at all.) do not celebrate it for the reason of Christ's birth. They very well may celebrate it in the spirit of love and family and generosity, but it is not, IN ANY WAY, a religious celebration for them, and therefore, would really mostly be based ON the very commercialism this pair is commenting on. The problem I have with this speaking out is not that there is a skeleton Santa. I DO agree that, in many cases, commercialism rules Christmas (I am actually okay with that, but it will be discussed in next week's Touchy Topic Tuesday) and you find commentary on this EVERYWHERE you look. However, I find it distasteful that a pair of people who do not believe in a God or a religion, or least of all Christ, who this holiday is entirely ABOUT, feel the need to lecture those of us who DO celebrate Christmas because of our deep seated religions, and to tell us that we are doing it incorrectly, that our hearts are not in the right place, nevermind that they, themselves, are not celebrating it for "the right reasons." They don't have a rotted soap box to even stand on. I am a big supporter of Freedom of Speech. Which is why, if it were me, I would ignore the thing, and walk away. Having a belief in the FoS, though, does not mean I can't have an opinion. When it comes down to it, if they're going to ban religious Nativities because they're "unconstitutional", and force religious opinions on those who do not desire them, then something like this should not be allowed either. Because it's religious commentary in addition to being social commentary. And if I, as a Christian am denied the right, then that same right should not be handed to someone else simply because they are NOT Christian. How do YOU feel about this "Christmas" display? What would you do? How would you react, and how would you explain this to a child? Dear Santa....I WANT, I WANT, I WANT!!!! 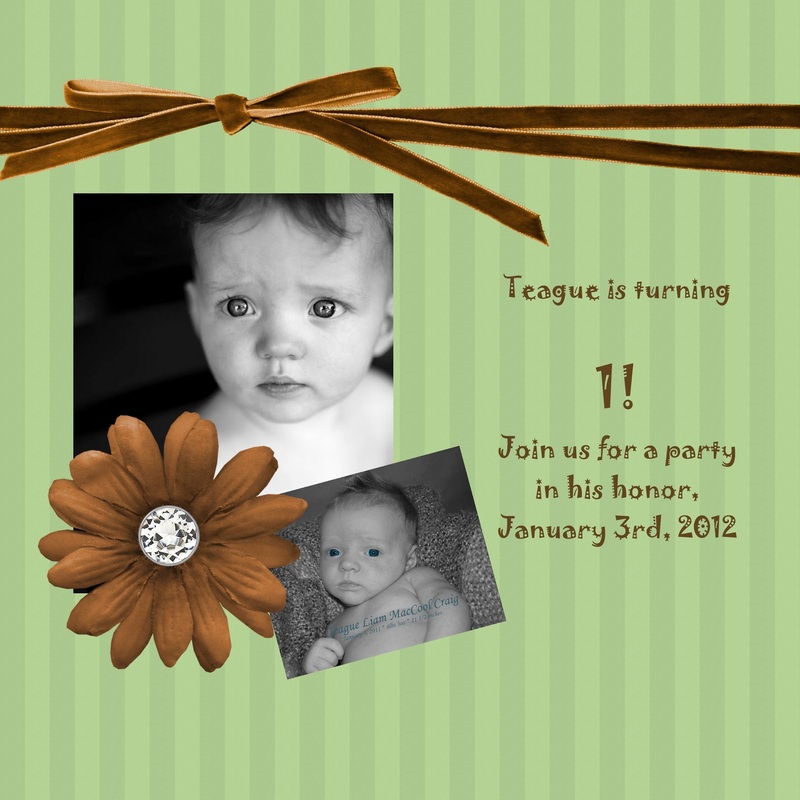 My Memories Digital Scrapbooking Giveaway!